Vembanad Lake is the largest fresh water lake in Kerala and the longest in India. This lake measures approximately 96.5 kms from Alleppey (south) to Azheekkode in the north region. As it is spread in different districts, it is known in different names in different places. 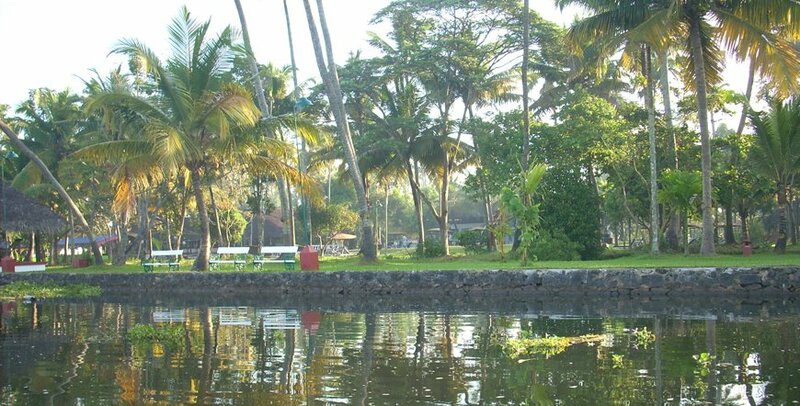 In Kumarakom region it is known as Vembanad Lake that applies to the stretch of 60 km from Thanneermukkom Bund to Alappuzha. In Kuttanadu region called Punnamada Lake and in Kochi, it is called as Kochi Kayal (lake). The most popular Nehru Trophy Boat Race conducted in Punnamada Lake, which is part of Vembanad Lake. The lake has max width of 8 Kms and is about 3 – 8 meters deep. 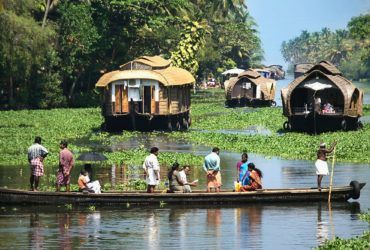 Vembanad lake get fresh water from four main rivers in Kerala originates from Western Ghats, flow through the Vembanad Lake and joins Arabian Sea. These are Meenachil River, Manimala River, Pampa River and Achankoil River. That means this lake is connected with Arabian Sea and someone could go by a motor boat or speed boat through this lake from Alleppey to Kochi reaching at Arabian Sea. Most of the Vembanad Lake is fresh water and when it nearing Arabian Sea, the water is salty. When the flow of the rivers reduces due to low rain, the saline water introduce into Vembanad Lake. Sun set cruise by motor boat or houseboat. Speed boat cruise in Vembanad lake. Go along with a fisherman (advance booking required). Ride along the coconut trees & paddy fields. 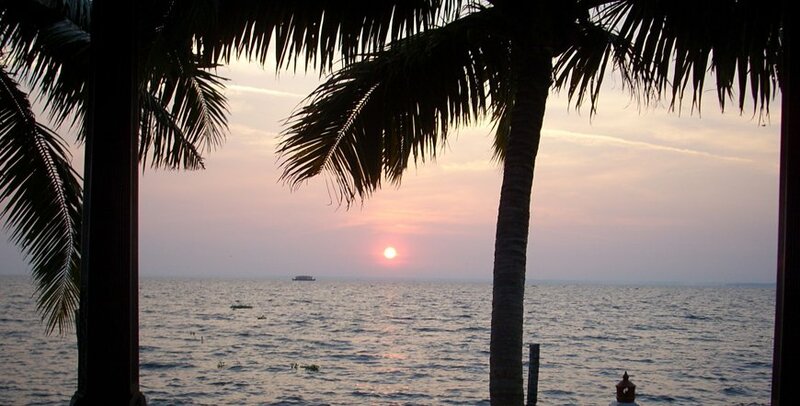 November to March is the best time to visit this Vembanad Lake in Kumarakom, Kerala. In this time, weather is very pleasant to explore the outdoors. You can reach at Vembanad Lake, Kumarakom by taxi, buses, railway and air. Kuttanadu, which is known as rice bowl of Kerala, where the most of paddy cultivation fields are located on the banks of this Vembanad Lake. When salt water comes in Vembanad Lake due to low inflow from these rivers, the paddy cultivation become difficult. To protect this paddy cultivation it was essential to build a dam or something which can prevent saline water. The Govt decided to build a salt water barrage and started construction during 1958. The salt water barrage stands across the lake at a place called Thanneermukkom where the lake narrows to the minimum 1400 meters. The Lake is bordered with the districts Kottayam, Alappuzha and Ernakulum. The Pathiramanal Island (where we can find verities of migratory birds) is in the Vembanad Lake. 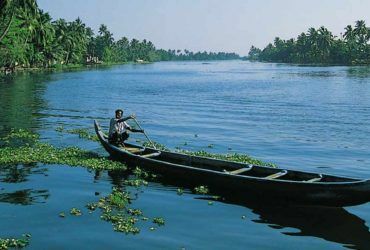 The Vembanad Lake has become a major tourist location. 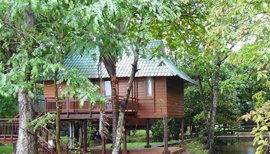 The most popular tourist location on the shore of the lake is Kumarakom tourist village and Kumarakom bird sanctuary. Its popularity is due to its scenic beauty only. There are verities of fishes in the lake including the very special PEARL SPOT /KARIMEEN of its own. Lake is enriched by different types of rare and delicious prawns, lobster, catfishes and fresh water fishes. Those who want to stay in Kumarakom and recommended to book a resort or hotel which is located on the banks of the Vembanad Lake. Most of the resorts are located on the lake side only except the below resorts. Vembanad Lake is the one of the best place in Kerala to enjoy houseboat trip with family & friends. 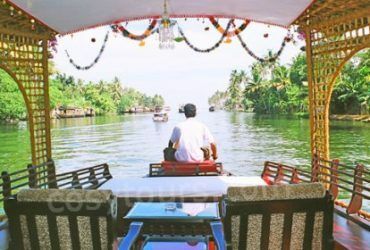 Do you want to know more about Kumarakom tourism and houseboat tour packages tariff & timing? Contact us here.